On 4th March this year the day didn’t start off well weather-wise. It was very misty and overcast and felt a little chilly to start with. So it was with trepidation that we set off to the Inn on the Green for the annual competition. The competitors had all arrived for the draw and the first matches began with play being very close. The whole day had been very ably organised by David & Eileen Haxon Group Leaders of the Wednesday Group and Ray & Pauline Durrant Group Leaders of the Monday Group. Gradually the games progressed and the results were duly recorded on the board. 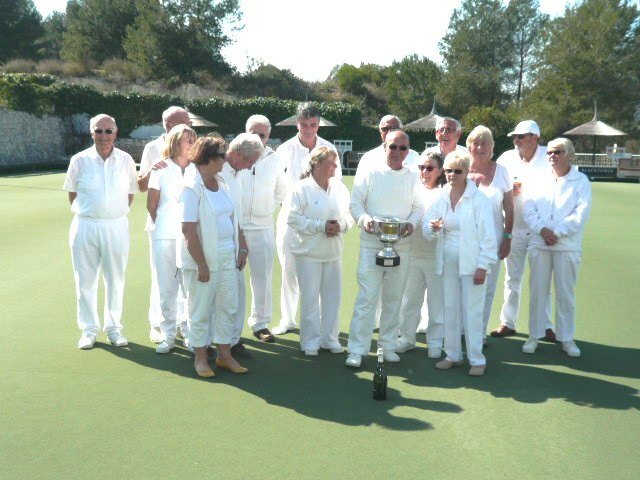 After the Singles heats had been played a Pairs competition began, the first of another annual event, as this year there were extra trophies to be presented, which meant there were plenty of matches to watch. 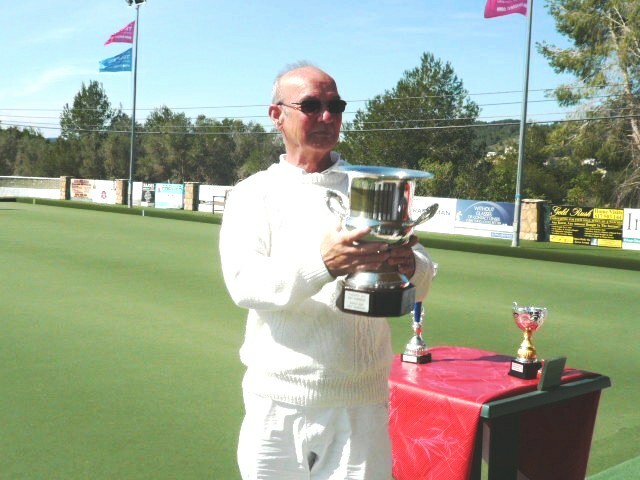 Ray Durrant who had won the competition for the last two years managed to play his way to the final again but this time his opposition Michael Dawson beat him, so there will be a different name on the cup! 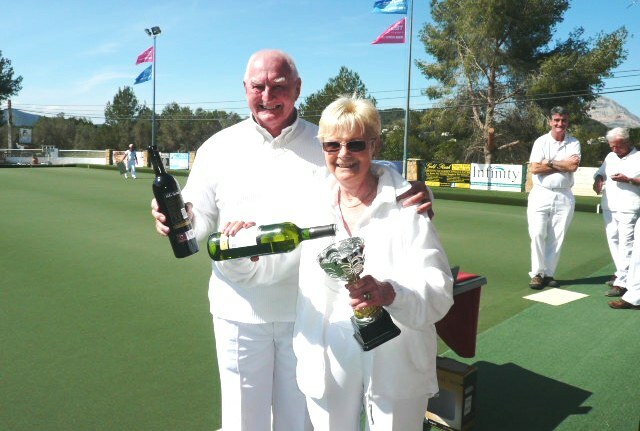 The winners of the Pairs competition were Pamela Fowler and Brian Bell who received a trophy and some wine. The winner of the Pamela Kershaw Memorial Cup, which was presented by Gordon Kershaw, was presented to Michael Dawson again with a bottle of wine. This year’s runner up, Ray Durrant, also received a small trophy and wine. After the presentations everybody sat down to a meal provided by the Inn on the Green. 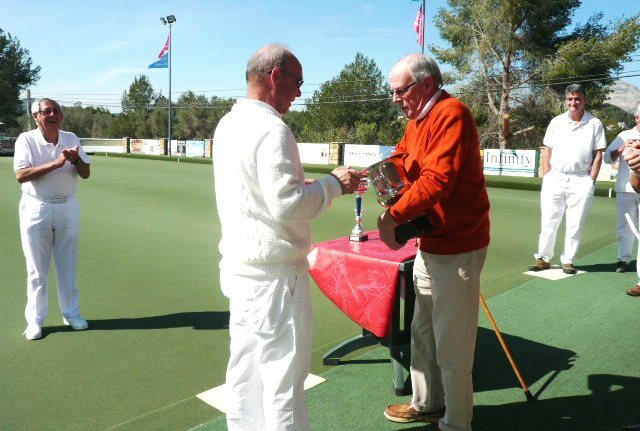 When this had finished David Haxon presented a wall plaque to Don Roberts for honorary membership to the Bowls Groups. 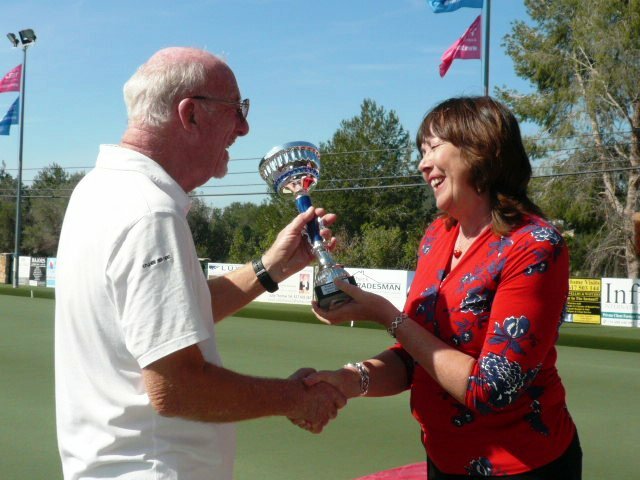 This was because Don not only started the Bowls Groups about 5 years ago, but had also initiated the Pamela Kershaw Memorial Competition in honour of the U3A’s late much loved Vice President, who was also a member of the group. Thanks must be given to everyone who helped out especially the scorers, and to David, Eileen Ray & Pauline for organising it all. Everyone agreed the day had been a resounding success, and even the sun came out for the Final match.